Stoney Behler, right, sits in Highland County Common Pleas Court on Friday with attorney J.D. Wagoner. A jury trial was rescheduled for August for another defendant accused in the killing of a Clermont County man whose body turned up in a Highland County field, and new details have emerged regarding the circumstances surrounding the death. According to a bill of particulars filed recently in the case, Stoney James Behler, 37, Cincinnati, allegedly shot 24-year-old Dakota Spurlock in the chest earlier this year while Behler, John Daniel Disney, 39, and Steve A. Davis, 40, were attempting to rob him. The bill says Behler, Disney and Davis had arranged to buy heroin and “ice,” a type of methamphetamine, from Spurlock, but when Spurlock got in a borrowed Ford Explorer with them, Behler pulled a gun on Spurlock and said they intended to take his drugs and money. According to the bill, Davis then punched Spurlock, and Behler shot Spurlock in the chest. The three men then drove to Davidson Road near New Market and allegedly dumped the body in a ditch, the bill said. “Behler took Spurlock’s shoes and wallet and other personal items and was wearing Spurlock’s shoes at a later date,” the bill said, adding that he allegedly bragged to someone else about shooting Spurlock, and said Spurlock had pulled a gun on him when they tried to rob him. Behler later threw the gun off a bridge into the Ohio river, according to the bill, and later showed detectives with the Highland County Sheriff’s Office where he threw it. The bill said Davis allegedly continued to message Spurlock on Facebook in order to mislead law enforcement. One witness said when Spurlock left a residence to meet with Behler, Disney and Davis, he had heroin, ice and $3,000 to $5,000 in cash with him. All three men were indicted in May on one count of involuntary manslaughter, a first-degree felony, one count of tampering with evidence, a third-degree felony, and one count of abuse of a corpse, a fifth-degree felony. As previously reported, a farmer found Spurlock’s body with a gunshot wound to the chest. Blood samples collected from Spurlock matched blood found in the Explorer, according to the bill. 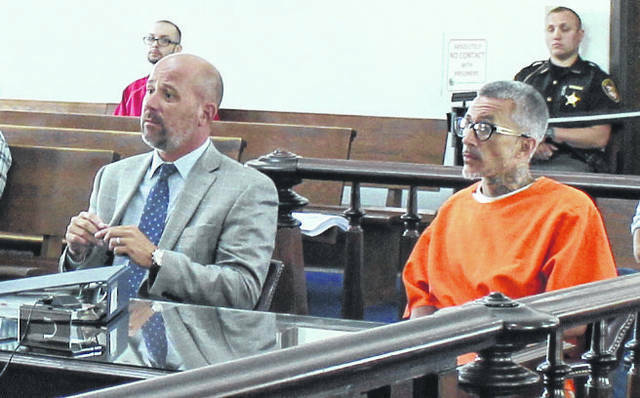 At a hearing on Friday in Highland County Common Pleas Court, Judge Rocky Coss rescheduled Behler’s trial from Monday, July 9 to Tuesday, Aug. 21, at the request of attorney J.D. Wagoner, who represents Behler. Wagoner requested the trial be rescheduled so he has more time to review the “vast amount” of evidence in the case. Earlier this week, Davis’ trial was rescheduled from July 9 to July 30 for the same reason. Highland County Assistant Prosecuting Attorney Jim Roeder said he expects Behler’s trial will take at least two days. A pre-trial hearing will be held at 1 p.m. Wednesday, Aug. 1. Behler is currently serving a prison sentence in a separate case. He is expected to be released in December.